This large mask, carved from a single piece of lightweight wood and colored black, white, and red, fit over a dancer’s head like a helmet. 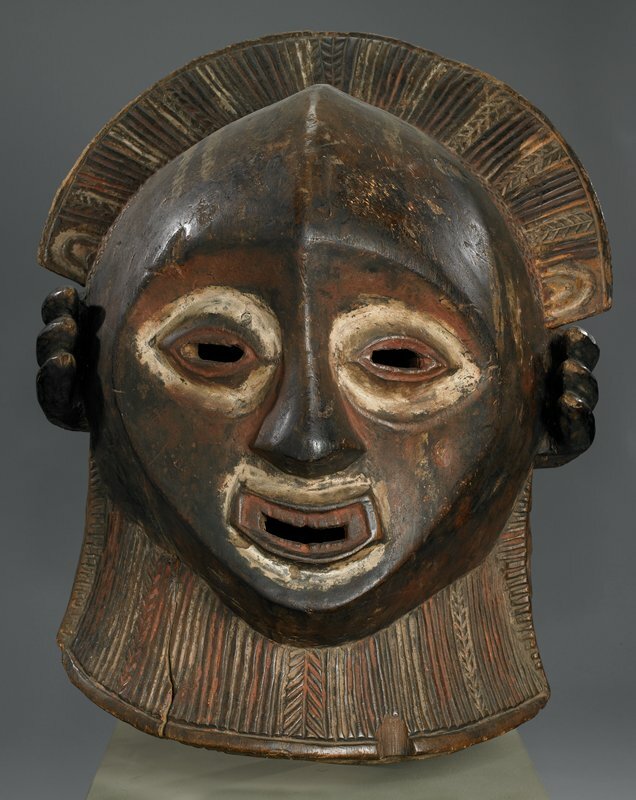 No information on its ceremonial usage was recorded when the mask was collected in the Democratic Republic of Congo, sometime in the early 1900s. The elaborate hairdo—three braids on either side of the face and a vertical, looped braid in back—is topped by a carved diadem, a headband-like crown of beaded raffia, characteristic of Luba chieftains.